New IML feature and other models with IML available! 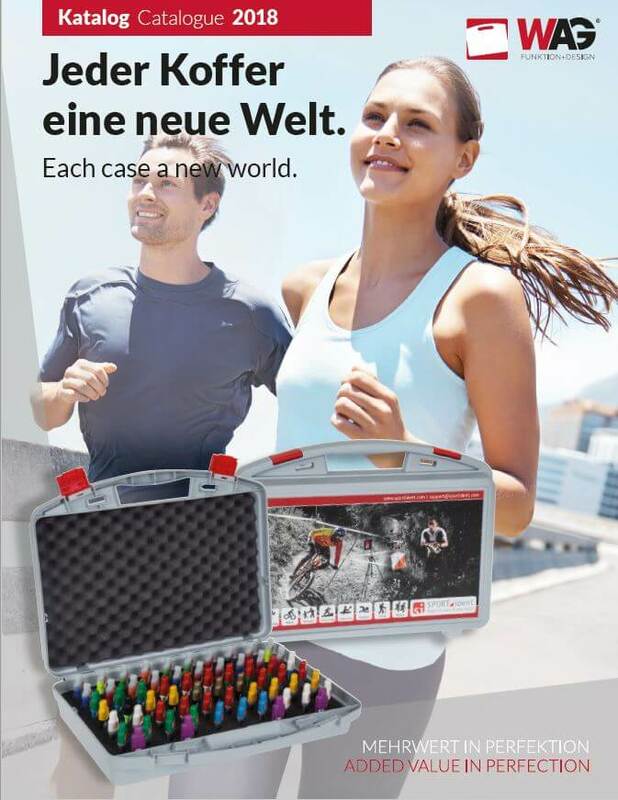 The 2018 catalogue from case manufacturer W.AG Funktion + Design GmbH is hot off the presses with up-to-date information from the plastic case world and is now immediately available as a print version or digitally. The new catalogue format, which was introduced for testing purposes in the summer of 2017 as part of the 25th anniversary celebration was maintaned because readers liked it. The catalogue has been expanded to 100 pages. Special attention was given to enhancing the reader’s experience with enlarged images and expanded catalogue contents such as the HEAVY trolley (p. 42 f.). More space was also given to measurement charts. On pages 68 and 69, we have provided important information about the in-mould labelling feature Digimarc for readers interested in IML. The innovative watermark, which is inperceptible to the human eye, offers new applications for IML-decorated plastic cases and boxes. This provides the end user with useful information and interactive marketing features in conjunction with Digimarc. Distracting QR codes on the IML are thus a thing of the past. The W.AG team hopes you enjoy exploring our case world!